Voters went to the polls Tuesday to choose candidates to compete in the November general election. 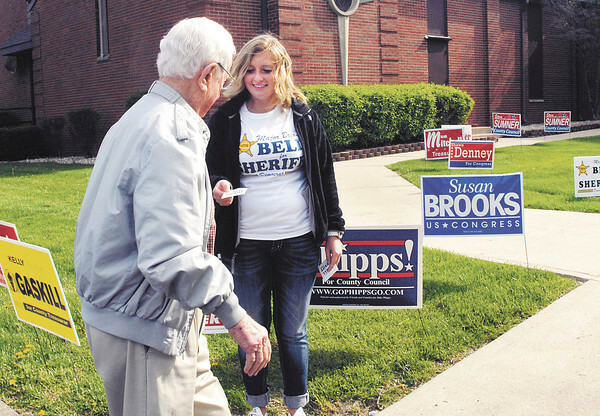 Madison Fowler, a senior at Pendleton Heights High School, passes out literature to one of the few voters that had turned out to vote at ward 1, precinct 6 at East Side Church of God by mid-morning. The turnout had been very slow to this point.